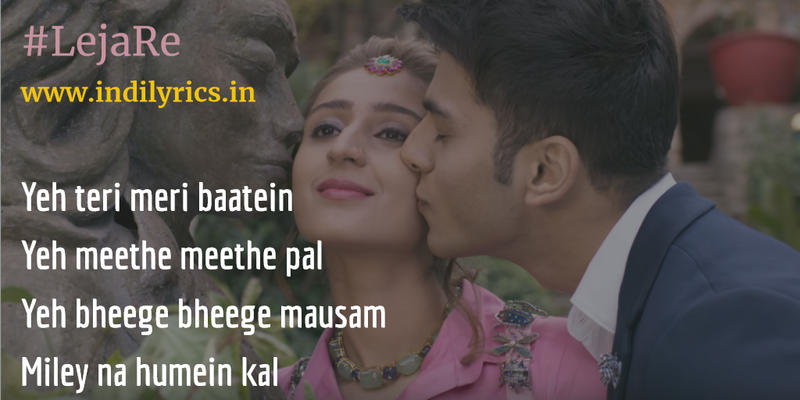 Leja Leja Re Full song Lyrics with English Translation and Real Meaning Explanation from music video by T-Series. The newly recreated music of Leja Re is composed by Tanishk Bagchi while Rashmi Virag penned the lyrics. Dhvani Bhanushali sang this song with her usual charming voice. The music is released under the label of T-Seris. The original version of Leja Re was done by Ustad Sultan Khan & Shreya Ghosal, the new version sounds so sweet as well and Dhvani Bhanushali herself performed in this song, while Siddharth, Deepali Negi and Palak Singhal were other actors in the music video. The audio mp3 version of New Leja Re is free to download from Gaana, Wynk Music, Saavn and other online music portals. Tu aisi mulakaat de ja..
Why would we fear about anything?